About 30 miles outside of Yazd, Iran, Sar Yazd Castle rises like a giant sand castle from the desert. Built in the 7th century, during the Sassanid Dynasty, the magnificent fortress was used to store grains and food, but also to safeguard valuables like gold and jewels when the city was under assault. 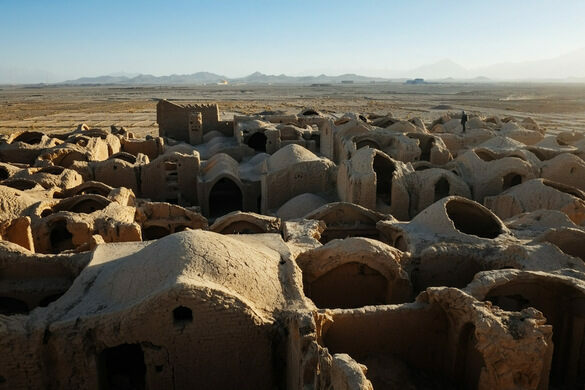 The ancient bank is still in good condition and well worth the drive from Yazd. The main exterior walls and towers are intact, surrounded by a moat, and the interior is filled with 450 chambers over three floors. You can explore the maze-like interior for hours, though it will take some agility and fitness! Sar Yazd Castle was built to make it difficult to enter and navigate. Small openings made it almost impossible for intruders to enter, and narrow passages allow only one person to pass at a time. To be able to find all the hidden entrances and chambers, you really need a guide. But if you can make it to the top of the tallest tower, you will be rewarded with a stunning view of the surrounding desert and mountains, including Shirkuh, the highest peak in central Iran. The castle was also built to be impregnable with nested concentric walls, high towers, and a 20-foot-wide moat. 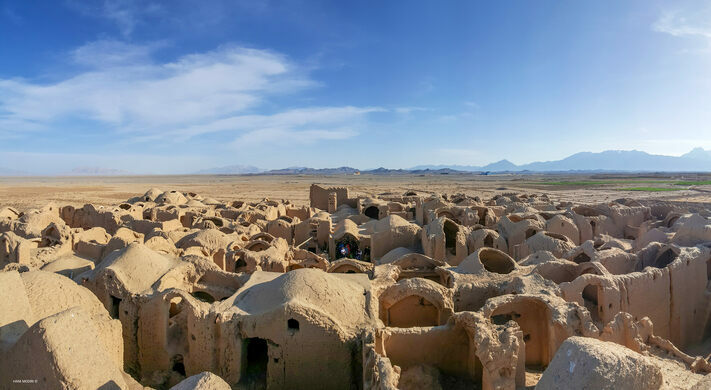 It was a mighty citadel in its day, and lives on as a stunning architectural and historical treasure that provides a peek into the customs and culture of 7th century Iran. It's a good idea to arrange to get the key from the tourism office in Yazd, or arrange a guide to take you, before you make the trip.